A former colleague of mine recently wrote an op-ed stating that Chicago Public Schools should end the requirement that to work in CPS you must live in the city of Chicago limits. There are a lot of things that CPS does that I strongly disagree with—from having mayoral control of the system to not having an elected school board to an overall top-down, undemocratic way of running schools. But the rule requiring that you must live in Chicago to teach in CPS is one rule that CPS gets right. As teachers we have a moral obligation to help make the lives of our students better. One way to do that is to make the city that we all live in better. At times, there is already a disconnect between the experiences of our students’ lives and the experiences that we teachers have. The thing is, even if we don’t live in the specific neighborhood in which our school is located, if we live in the city we are infinitely more aware of what life is like for our students than, say, if we commuted from one of the surrounding suburbs. Yes, I could have my students share their experiences so I could attempt to understand and relate to them. But the disconnect between teachers and students will only be greater if they live in Englewood or South Chicago and I live in Orland Park, Oak Park, or Schaumburg. The 40,000 teachers who work for CPS are an important voice in the electoral process, as we have seen with the most recent mayoral and alderman election. The actions of the teachers who make up the Chicago Teachers Union are changing the way schools are run and the way this city is run. Without this voting privilege, we would have significantly fewer tangible ways to exert positive change for our students. We owe it to our students to pay taxes to this city to help improve it for everyone. Yes, the way the money is used or not used needs to be improved, but politicians need our revenue to pay for those improvements. These same politicians also need our voices to pressure them to use our revenue the way that it should be used. We owe it to our students to be teachers who not only work in CPS but also send our kids to CPS. By doing so, we obviously will have more at stake in wanting to improve the schools for all children. Teaching is about building connections with our students. We teachers may differ from our students in terms of race and/or economic status. But when we live in the city, pay taxes here and send our kids to public schools, our students will see that despite our differences, we also share many common bonds–most importantly, the desire to improve the city that we all call home. We teachers love and care about our students. That is why discussions about the teacher residency rule, and any and everything else that impacts our careers as teachers, are vital. 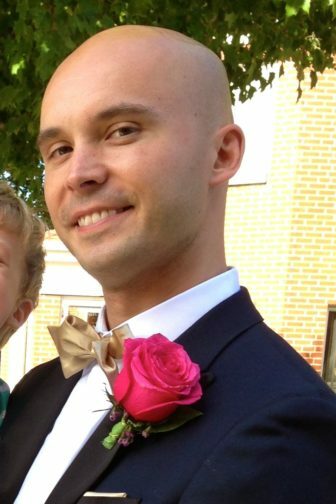 David Stieber is a father, husband and history teacher in Chicago. He earned his masters in Urban Education Policy Studies from the University of Illinois at Chicago. Follow Dave on Twitter at D_Stieber. Why not make living in Chicago a requirement for receiving pension money. Yeah keep that money that’s bankrupting Chicago in Chicago.